PART 2: How to clean and condition leather furniture? When made aware of the many considerations and details involved in making leather furnishing, one may think that its proper care and maintenance will be complicated and difficult. Fortunately, it is not so! 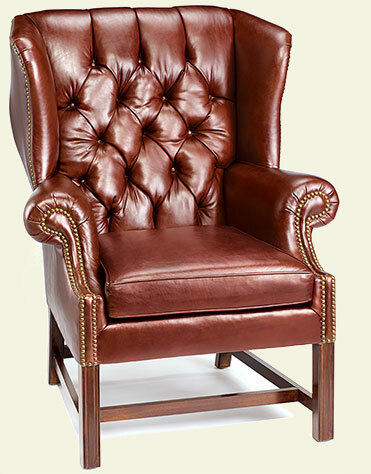 How can you determine the optimum care and maintenance for your own leather furniture? First, by always performing a test on a hidden or less visible area. Then, by evaluating the degree of porosity of your leather (the essential characteristic when it comes to maintenance of leather furniture). To help visualize this, imagine you let drip a drop of water on your leather. On Nubuck, the drop of water would only stay on the surface a few seconds whereas on any pigmented grain, it would have time to evaporate before ever penetrating leather's surface! 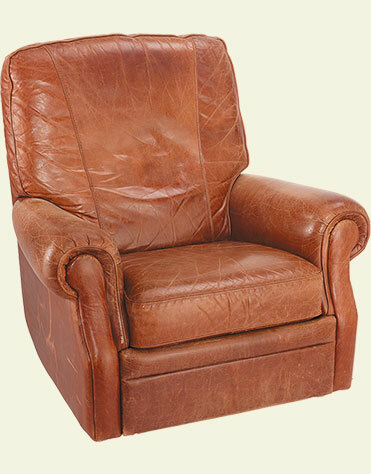 HOW DO YOU CLEAN AND CONDITION LEATHER FURNITURE? Spray AQUILA (Urad's gentle leather cleaner) on a soft cloth and gently wipe the surface of your leather sofa. Pay special attention to the armrests and headrest areas. Repeat if needed. On certain types of leather (especially Top grain or Corrected and Pigmented Grain), and in certain situations (for example to remove grease stains on headrests), AQUILA can be sprayed onto leather directly. Always test in a hidden area first. There are no problems cleaning your leather furniture regularly. On the contrary, we recommend cleaning once a month, or more, particularly the armrests and headrests. Grease and sebum accumulation must be avoided at all cost because once leather is stained and/or « burned » with these, it is very difficult if not impossible to clean or restore. Leave to dry before moving on to the next step. Apply a very small amount of URAD on the sponge (provided), and spread it on a hidden area of your leather furniture. Apply a very small amount of URAD as well as a small amount of TENDERLY and spread it on another hidden area of your leather furniture. Leave to dry a couple of minutes and compare. Which one feels and looks better? If there are no noticeable differences, use the mixture of URAD-TENDERLY as opposed to URAD alone. Amongst other things, using them together makes it much easier to apply smoothly and uniformly. Whichever test is tacky, more TENDERLY should be used in the mixture. (See video of how to use Urad & Tenderly together). The rule of thumb is the more porous the leather, the more TENDERLY should be used in the mixture. For example, for calf skin, a recipe containing about ¼ URAD for ¾ TENDERLY is usually what gives the best results. On Full grain aniline, these proportions are half-and-half or even reversed to ¾ URAD for ¼ TENDERLY. Apply the mixture like you would apply skin cream. It is better to use very little and spread it thin, making it penetrate leather by quick and delicate wipes. It is advisable to perform this step once or twice a year. When mixing URAD with TENDERLY, before opening the URAD jar, shake it vigorously until it liquifies, making it easy to blend in with TENDERLY. The surface pigmented treatment that certain leather receive can be scratched. The color of the grain dye may be slightly different than the grain color. Full grain aniline do not have that additional protective surface layers and are not subject to these differences. URAD cream contains carnauba wax which has a natural yellowish-brownish color, more or less dark with each harvest. While URAD neutral can be used on all colors, it may slightly darken very light-colored leather (white leather couch for example) if applied too thick. For this reason, the lighter the color, the more TENDERLY is used in the mixture. With its extreme degree of porosity, the above care instructions do not apply to NUBUCK. The methods used to maintain and care for Nubuck furnishing is addressed in a separate article : Nubuck leather. Gum on leather furniture: Put a few ice cubes in a small plastic bag and put the bag on the gum until it hardens. It will then be easy to remove from leather without scratching leather. Liquid spills on leather furniture: Immediately wipe off the liquid using paper towels. 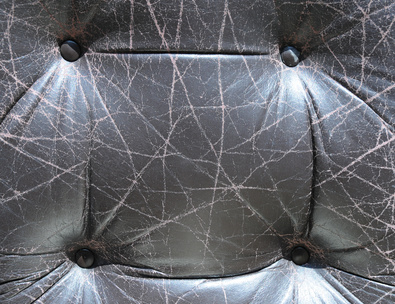 Discoloration and Scratches on leather furniture: On full grain aniline, the normal care and conditioning steps above should be enough to restore color uniformity. For the other leather types (with the exception of Nubuck), you will need to apply COSTA BRAVA dye, using a Q-tip, on the scratches (before applying the mix URAD-TENDERLY) and/or add some to the mix (URAD-TENDERLY) to rejuvenate and re-dye the discolored areas and even out colors for the full sofa. If the sofa is badly discolored, read the article concerning the leather color restoration method. Old or new, antique or modern, in your living room or in a public waiting room, in your dining room or at the corner diners... leather is always a good choice for its incomparable sensuality, unsurpassed longevity, and its natural and noble rich texture and aesthetic looks. When well cared for, it is sound economics and an ecological choice. With these few care and maintenance tips, you should be able to enjoy leather's unique qualities for many years to come!